Lisa: There’s nothing to eat for breakfast. Homer: You gotta improvise, Lisa. 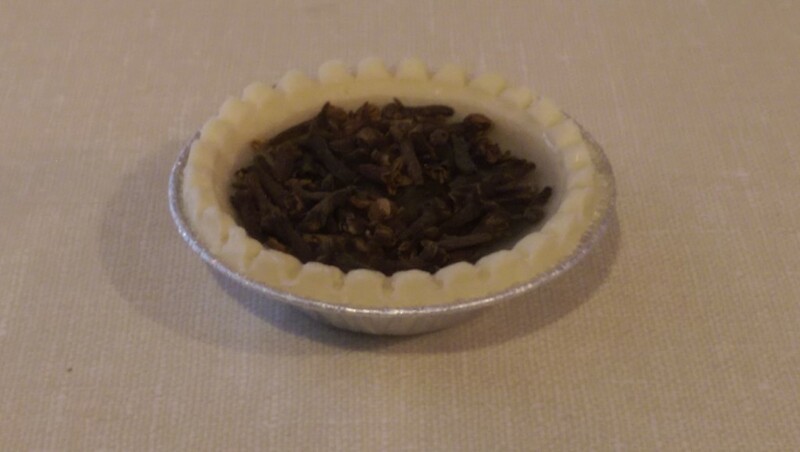 Cloves, Tom Collins mix, frozen pie crust. Homer: Oh, come on, Lisa, there’s no reason to [takes a bite] let’s go see Mom. I have been avoiding the Clove Tom Collins Pie recipe for a while, for obvious reasons. Ladies and gentlemen, I’ve tried Bubble Crum, Salad with Mustard and Ketchup and Boiled Celery and I can say without hyperbole that this is a million times worse than all of them put together. In this recipe Homer uses Tom Collins Mix, which doesn’t really exist. A Tom Collins cocktail is gin, sour mix, soda, and simple syrup, so I used limonade for this and declared it close enough. Also not available are pie crust TOPS – which is what it looks like Homers uses. Obviously pie crust bottoms can be found in any frozen food aisle, but in the interest of not wasting an entire pie crust I used a tart shell instead. Add cloves and Tom Collins mix to frozen pie crust. Take a single bite and immediately regret all the decisions in your life leading up to this moment. Going in I knew this was going to be bad, I mean cloves are basically inedible but the frozen pie crust mixed with any kind of liquid becomes a mushy mess within about 10 seconds. This was bad. Really, really, really, bad. I remember researching each of these ingredients many years ago (since I don’t think I’ve had any of them separately) and realized this was probably the grossest “meal” the writers could come up with. Sounds like it belongs in a dumpster, or at least a Trash-Co waste disposal unit. 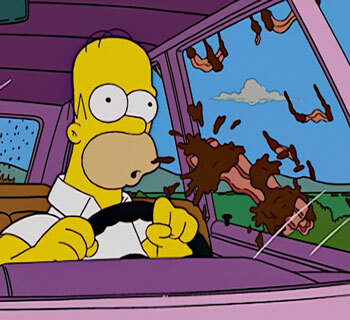 Homer’s eyes in the screenshot say it all. Exactly. 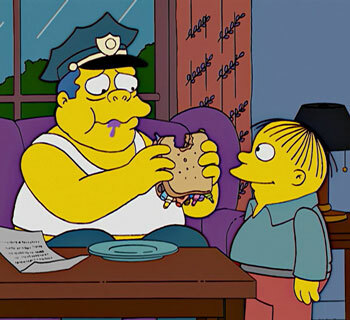 If Homer can’t even stomach eating something that you know it’s really, really, really bad. I guess the lesson here is, whole spices were not mean to be consumed with alcohol mixers and pie crust. Tom Collins mix does exist. Good to know! But I don’t think my stomach can handle eating straight cloves again, so I might not re-make this breakfast recipe. 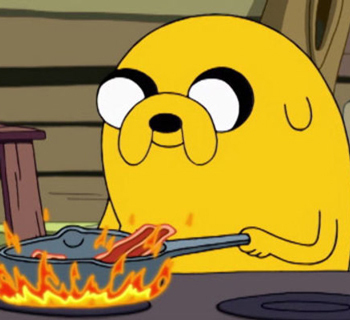 Ever since I watched this episode I wanted to know what that would have tasted like. Awful is the word it seems. Nonetheless this blog is making me cry with laughter, the dry humour way in which it’s written just tickles me. 1000% better than Buzzfeed. Glad you’re enjoying the blog! 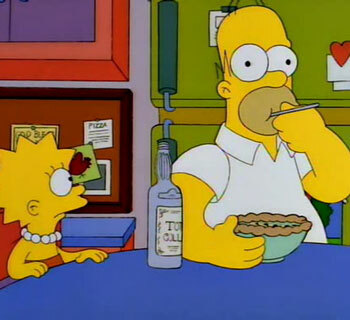 I like to think of my humor as “Vintage Simpsons-esque”…also please never attempt to recreate Clove Tom Collins Pie. Just don’t.